The ick factor is so outweighed by the cool factor it’s barely worth mentioning. Nature covers an article in Nature Methods that describes how researchers were able to create new brain cells starting only with discarded cells flushed away in urine. This is terrific news for a variety of reasons, starting with the fact that this stem cell treatment doesn’t require destroying human life. In addition, stem cells derived from embryos tend to be hard to control, but the brain cells cultured this way–when implanted into rats–didn’t lead to any tumors. It also helps that these cells are obviously easier to harvest (“We work on childhood disorders,” said one of the researchers. “And it’s easier to get a child to give a urine sample than to prick them for blood.”) Finally: this allows researchers to create stem cells for a patient from that patient’s own cells. Sometimes, the future is rad. Who Steals a Jet Engine? The Slashdot headline definitely caught my attention (F-16 Engines Stolen From Israeli Air Base), and the story was indeed as advertised: Not one, not two, but several jet engines were swiped from an airbase. These engines weigh 3,700 pounds each, mind you, so it’s not like you can smuggle one out in your car. 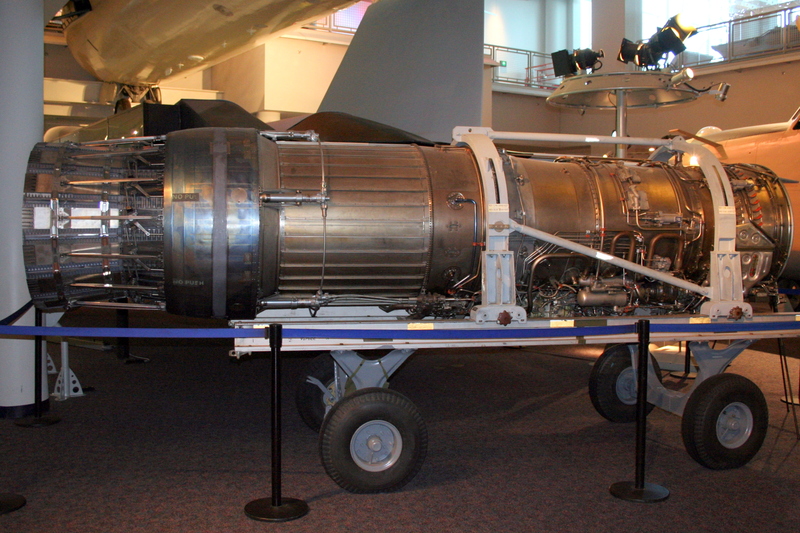 An older version of the stolen F-100 engine. What do you think I can get for one of these on ebay? It gets even better, however. Turns out someone helped themselves out to a five-fingered discount on eight F-15 and F-16 engines back in 2011, also from Israel. Maybe we should not give them so many toys if they can’t take better care of them? Oh, yeah, and in 2009 Malaysia suffered a similar heist. Someone absconded with a pair of F-5 jet engines which were subsequently tracked to Argentina before being recovered in Uruguay. I was thinking about the next big leap forward in personal technology on my run today because that’s how I roll. Personal computing has basically gone from desktop to laptop to mobile, including both tablets and phones. What’s next? The limiting factor is primarily user-interface. Anything smaller than a phone will be too small to have a screen (no output) and too small to have any kind of keyboard (no input). Some kind of direct mental control might work for the input, but there are big privacy concerns. Google Glass is supposed to be the next leap forward in displays, but I’m skeptical. What we needed, I thought, was a contact lens with a screen in it. I figured that was still a long ways off, but the Internet is generous, and always provides. That’s right, folks, an LCD display on a contact lens is already a reality, although it’s just a simple monochrome display at this point. So the next stage of personal computing will really be wearable devices where the device is actually distributed into smaller segments, like perhaps a CPU built into your watch that displays to a screen in your contact lenses. Is the TSA a Threat to Male Egos? Is Partisan Technology a Bad Thing? There have been lots of articles about the wonders of the Obama campaign’s cutting-edge technology, but even as a sad Romney supporter it had never occurred to me that this might be a bad thing. Tom Steinberg begs to differ. His main point seems to be that the technical arms race between GOP and Democrats is wasteful because of mutual cancellation: “But everything you build in this field always attracts people trying to undo your work by directly opposing it.” Tom would rather people work on tech that won’t be counter-acted, and that will therefore make our lives better. That’s plausible, but the article made me wonder about something else. If a campaign can be won or lost on the basis of technical prowess or some other factor that’s independent of political differences, are we risking a society where democracy exists in theory, but in practice has already become irrelevant? If money can corrupt politics, can’t a decisive marketing advantage do the same thing?